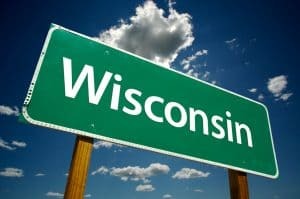 Tenant rights advocates are pushing back against a bill aimed at standardizing housing regulations across Wisconsin municipalities. Senate Bill 639 addresses the relationship between property owners and municipal government including landlords’ repair costs, credit background checks and building inspections. A hearing on the bill is scheduled for Wednesday at 10 a.m. at the Capitol in room 411 South. The bill would prohibit municipalities from requiring regularly scheduled inspections, raise the amount a landlord can charge for a credit check from $20 to $25 and require ​that tenants provide “valid ​legal ​grounds” ​to ​get ​a ​full ​hearing ​in ​front ​of ​a ​judge ​at small claims court. It would also require that small claims cases, like evictions, stay in the Wisconsin Circuit Court Access database — CCAP — for 10 years. Madison’s Tenant Resource Center argued this would cause many qualified tenants to be unnecessarily denied housing. Sen. Frank Lasee, R-De Pere, introduced the bill and Rep. Robert Brooks, R-Saukville, has sponsored it. Neither responded to requests for comment. The Apartment Association of South Central Wisconsin and the Apartment Association of Southeastern Wisconsin are in favor of the bill but did not respond to requests for comment. The WCCA Oversight Committee recommended in November that dismissed small claims cases, which include evictions, remain in the database for two years. The committee argued that there is “little public value and much potential harm” to individuals by keeping their dismissed cases publicly available. Wegleitner is also concerned that the bill says an emergency assistance stay cannot be granted after a writ of restitution, the document authorizing an eviction, has been issued in eviction proceedings. “Limiting the time in which people have to use their emergency assistance to secure housing is going to only put more children on the streets,” Wegleitner said. The bill also requires a tenant to provide “valid legal grounds” instead of just contesting an eviction filing, which the Tenant Resource Center argued creates an “uphill challenge” for unrepresented tenants to figure out the “magic legal words” to get their case heard. Overall, Tenant Resource Center executive director Brenda Konkel said this bill adds to the confusion created by tenant and landlord laws enacted over the past several years. “The city has a regular inspector program, and that’s not specific to rental units, and so it seems like what the legislation would do is create a special class of buildings that are not subject to inspection,” Zavos said. UW-Madison’s Neighborhood Law Clinic director Mitch, who only has one name, said the bill is keeping building inspectors from ensuring neighborhoods are safe. “This bill allows rental owners, absentee rental owners, to have property that gets rundown,” Mitch, who is also a landlord, said. It would also require inspection fees not exceed the actual and direct cost of performing the inspection and would not include ​other ​costs ​the ​city, ​county ​or village ​incurs. The bill would also allow landlords who choose to do their own repairs to charge tenants for those costs. Whether or not tenants see those savings or receive quality home improvements is debatable, Mitch said, in addition to taking away jobs from tradespeople.